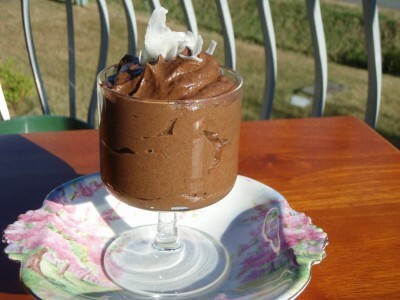 Divine Chocolate Mousse - Raw Juicy Living - Recipes and Workshops for Parksville, B.C. Blend all ingredients including date soak water until smooth and creamy. You may need to add a bit more water. Enjoy immediately, or refrigerate.